Earning a little bit of money on the side to help boost your income can make all the difference. If you have some spare time, you can easily make a little extra money every day. Here are 5 mobile reward apps that pay you for using them (and, bonus, they’re also pretty fun to use). What you do: With Field Agent, you can make a little extra money by completing simple jobs, or assignments at places you already go every day, like neighborhood grocery stores, coffee shops, or boutiques. Assignments can range from taking photos of products to gathering product information or sharing your opinion, which Field Agent then shares with its clients all over the world. Each job must be completed within 2 hours, and then money is deposited directly through PayPal. What you earn: Jobs typically pay $2 to $12 each, and completing easier assignments earns you access to higher-paying ones. What you do: CheckPoints can be used while you’re out and about, or while you’re relaxing at home. 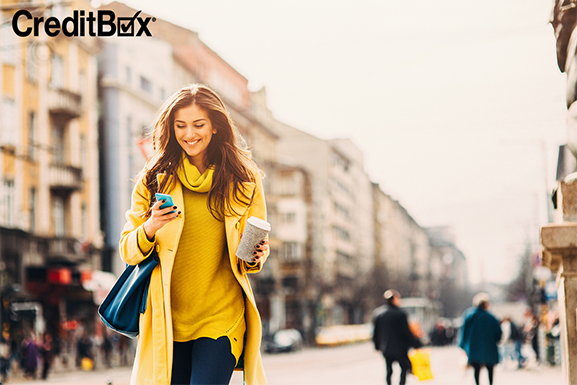 While you’re out on the town, you can use this reward app to scan barcodes of products and instantly earn rewards. While you’re at home, you can review videos and answer surveys to earn rewards. What you earn: When you complete tasks, you earn points toward gift cards, airline miles, and tech gadgets. You also can earn entries into sweepstakes or donate your earned money to a charity of your choice. What you do: Pact incentivizes working out by rewarding those who meet their fitness goals and charging those who don’t. You begin by committing to a week-long “pact” with th is reward app that you’ll work out every day. Workouts must last at least 30 minutes. When you go to the gym, you make money, and when you skip, you pay. What you earn: You can earn between $0.50 and $0.75 per workout. That means that if you make it every day for 7 days, you can earn an extra $5.25. What you do: When you download Gigwalk and give it access to your location, this reward app automatically finds jobs around your current vector. Jobs take anywhere between 5 minutes and 34 hours, and longer jobs pay more. When you go on a job, you’re running an assignment for a client at a price that they set. This can mean anything from becoming a mystery shopper to reviewing local restaurants and products to distributing information for a client. What you earn: Gigwalk is one of the highest-paying apps of its kind, paying $10-$15 an hour, and earning is unlimited. This is your best bet for earning a significant amount of extra money. What you do: If you already shop a lot for groceries, clothes, or anything else, this reward app is made for you. It rewards you with “kicks,” or points, that you earn from checking in and shopping at retailers. Once you have enough kicks, you can trade them for popular gift cards. What you earn: Earning kicks is fairly easy, as you can earn simply by walking into a store or mall. The more points you accrue, the larger gift card amounts you can redeem for. 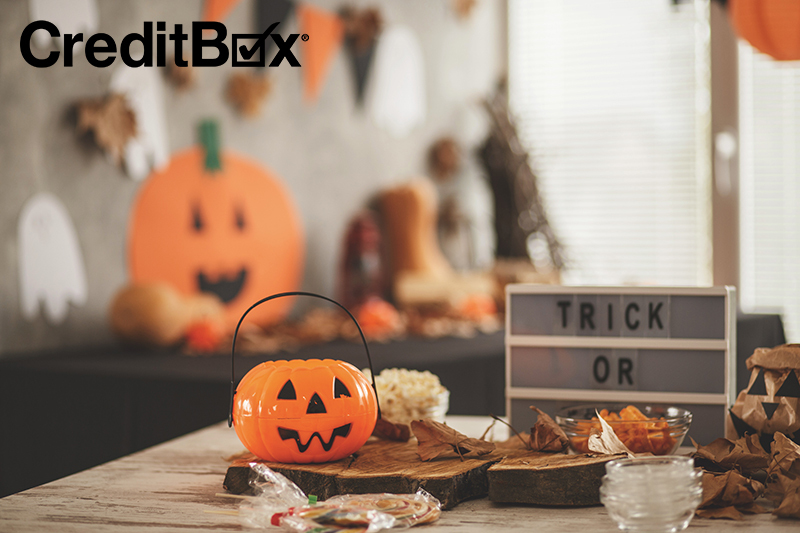 If you’re earning money on the side, but it still isn’t quite enough to make ends meet, CreditBox can help. We specialize in Installment Loans up to $4,000. Apply online today and you could have your funds as soon as the next day. 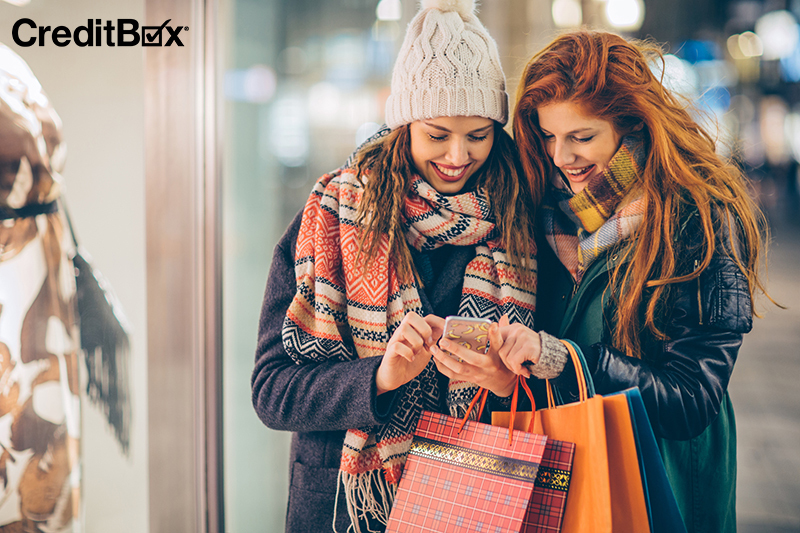 Is it better to do your holiday shopping on Black Friday or Cyber Monday? Keep reading for the pros and cons of both! It may seem crazy, but the holidays are already here! For most, it can be a time of overindulging. Whether it is on food, or holiday spending, most of us do it to some degree. While we would rather just focus on family time, good food and singing Christmas carols, the reality is that we stress about gift-giving and all the funds needed for holiday parties. Instead of going into debt this year, save money and stay within your holiday budget by using these tips. Halloween is one of the most fun holidays to celebrate, but can get a little pricey. Especially with Thanksgiving and Christmas following so closely after, October is prime time to be saving money for those holidays. Have fun this year by throwing your own cheap Halloween party with our tips below! Loan amounts and requirements subject to change. Restrictions may apply. By submitting a short application you agree to receive email, phone and text correspondence. If using Internet Explorer, this site is best viewed and used with Internet Explorer 10 and later versions. Consumers Beware: Please be on the alert for scam artists using the company name, CreditBox.com, or company website, www.CreditBox.com, in an attempt to defraud you of money. CreditBox.com will never ask you to forward a payment before issuing you a loan or on condition of issuing you a loan. If you receive a suspicious call or email, please contact our customer service department at 888.669.4227 to verify its authenticity before sharing any confidential information. Thank you. Copyright © 2019 CreditBox.COM LLC. ALL RIGHTS RESERVED.